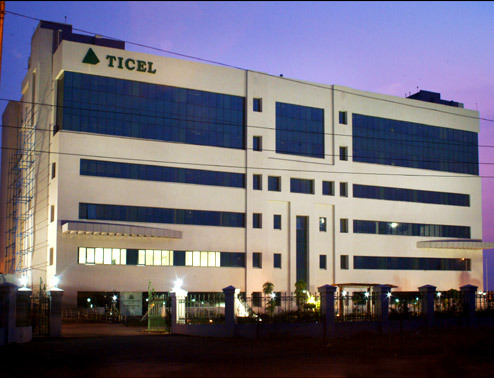 TICEL Bio park is located at Taramani, at the beginning of the IT corridor promoted by the state government. The building consists of Ground + 5 upper floors with each level of 2060 Sq.m. The ground floor has a bio research centre which provides technical services to tenants in other floors. The upper floors are planned as modular labs of about 900 sft, which can be leased to companies looking for incubation and research space. A dedicated BSL 3 lab has been provided in the ground floor. All utilities required for operation are provided including Reverse osmosis plant, full air-conditioning and power back up. The Air-conditioning system has 40% fresh air and 60% recycled air. Other aspects pertaining to research facilities such as Bio guard false ceiling systems, acid waste disposal system, lab furniture and related piping works, fume hoods etc have been designed and provided. The design has evolved in collaboration with Cornell University.